— Annie Shields, The Nation. “Durbin just told reporters @MartinHeinrich is attending his father’s burial but will be back for vote tomorrow.” — Mike DeBonis, congressional reporter, The Washington Post. She says this is the worst name she has ever been called. 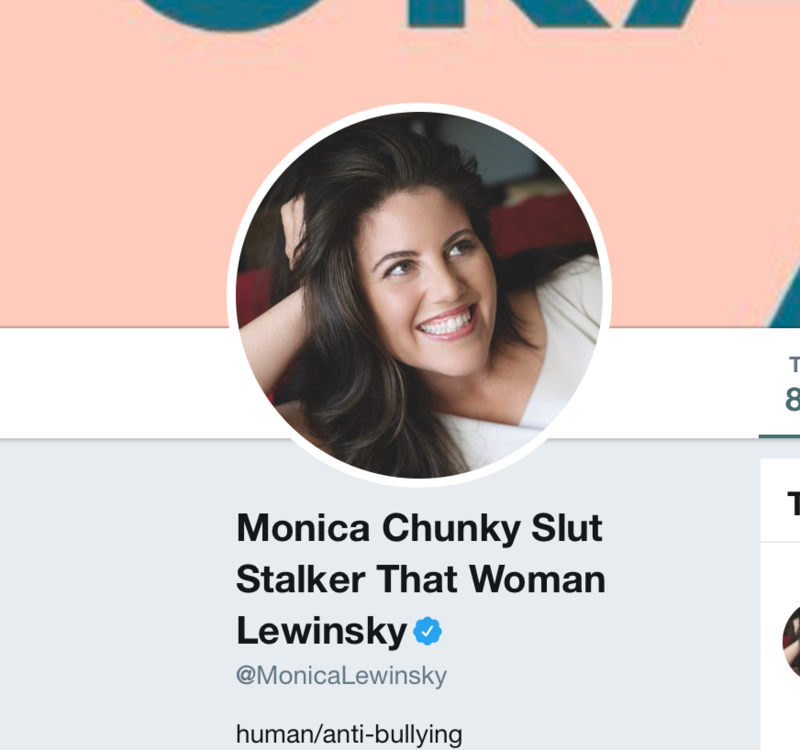 “Many times in that year of madness covering the White House in 1998 I wondered what would happen to @monicalewinksy for the rest of her life. She’s matured with dignity, while the political culture that made her famous continues to decay.” — John Harris, editor-in-chief, Politico. Monica replied to Harris with a prayer hands emoji. “I started drinking lacroix because a very cold can of grapefruit lacroix is virtually indistinguishable from diet coke except it’s not soda and therefore, I KIND OF ASSUMED, not as bad for you, which I guess is still true, except for the cockroach insecticide ingredients.” — Maya Kosoff, reporter, Vanity Fair‘s The Hive. There’s a class action lawsuit…ugh. “To all survivors of sexual assault: We hear you. We see you. We will give you dignity. Don’t let this process bully you into silence.” — Sen. Kamala Harris (D-Fla.). BuzzFeed News reporter discusses her failure in nabbing Harvey Weinstein. By the way, she still believes Ryan Seacrest is guilty of sexual assault and harassment. She also believes Louis C.K. has no business returning to comedy. See Kate Arthur‘s piece here. “@KaitlanCollins, did you get your feelings hurt during the press conferences earlier in the week? I wouldn’t, just remember even I get made fun of… kait, don’t let others make u feel sad, remember, just stay on topic! That’s what I do and it’s so working out.” — Jason Maples. “I am undecided on Dulles Airport. I think it is not the right airport for this time, or any time, and I would rather fly by hot air balloon. But I am officially undeclared on Dulles Airport.” — Jim Antle, political editor, The Washington Examiner. The NYT‘s Jodi Kantor talks about how she “gets it done” for New York Mag’s “The Cut.” See here. TMZ: Matt Damon will not appear on SNL for an encore performance of Brett Kavanaugh this weekend. Here. NYP‘s Page Six: Lady Gaga weighs in on Christine Blasey Ford. Here. Daily Mail FAIL: Report: Brad Pitt gets “VERY cozy” with blonde spiritual healer. But the story doesn’t hold up and doesn’t match the inflated headline on the front of the site. Here.